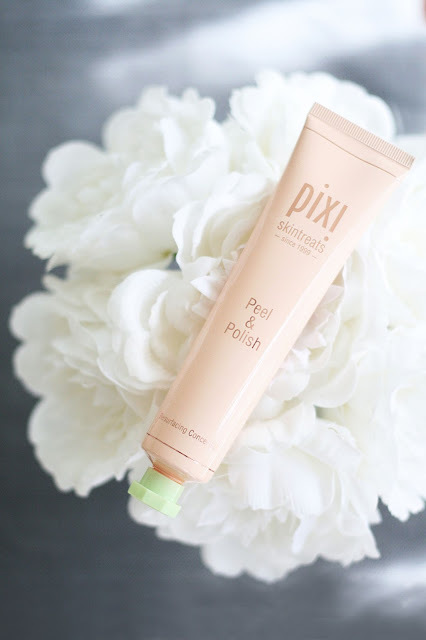 Pixi | Peel & Polish review & Giveaway!! Pixi - Peel & Polish | I was extremely excited when I received this in the mail, I am a big fan of Pixi skincare range, one of my favourite products is the Glow Mud Cleanser which I blogged about here. The only time i've ever had a peel is when i've had a professional facial which has only happened twice in my life... I know I am failing as a human being. So this at home professional salon peel concept is very exciting and also much more purse-friendly. A facial can cost you anywhere between $60 - $300+. 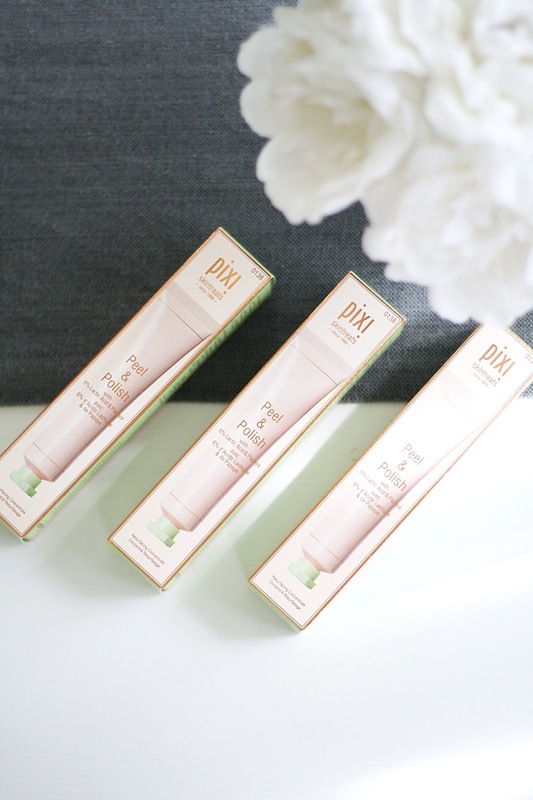 The packaging is on point and is easily a recognisable Pixi product, I love this type of tube too as it means no product waste, it's also not too big so perfect for travelling with. I am a big sophisticated and fresh scent lover and this is a perfect hybrid of the two, you can definitely smell the cucumber in this peel. The consistency is as you would expect from a peel, a fine gritty lotion and this Pixi peel is made from sugar to extract and polish the skin (i'm a big fan of sugar scrubs and I use one for my body by Soap and glory FYI) I've been using this twice a week concentrating the product around my nose and cheeks as thats where I get the most annoying blackheads and dry skin. Pixi recommend using the peel in the AM and or PM 2-3 times per week, applying to a dry face and neck and leave on for around 5 mins, then rince off and pat dry. If you want a more intense polish then Pixi recommends gently massaging the face and neck with your fingertips in circular motions which I have been doing as my skin has got so dry since being pregnant. Because the product is so gritty it does take me a while to make sure I've removed all the peel, so to do this I use a warm damp flannel rest it on my face for a few seconds and then I gently remove, I do this step twice with a warm flannel and then a final time with a cold flannel, this is just what has worked for me. Also applying a cold compress helps with any redness after a peel/exfoliation. My skin tends to be quite sensitive but has worked really well with this peel, the skin around my nose and cheeks is a little red after but thats because I do concentrate the product there just to help with removing my blackheads (which it does quite well👍) But my skins softness is unreal, it has made such a difference using this twice a week, it takes the dullness away and leaves baby soft skin, I still have a few blackheads but I personally think the only real way to get rid of them is by extraction and i'm too much of a wimp to do that myself! Good to know about the giveaway offer that seems interesting and I would like to have. I agree with your opinion that the consistency is as you would expect from a peel, a fine gritty lotion and this Pixi peel is made from sugar to extract and polish the skin.